Nobody knows where the little Shan village of Wan Hsa La is or else the battle was ever fought there. It was in 1948 when a pitch battle was fought between the Burmese army (at that time it was not yet the pocket army of the dictators but under the able leadership of Brigadier Kyaw Zaw) together with the Chinese Communist troops dressed in Burmese army uniforms against the KMTs commanded by General Li Mi. In the battle KMT withdrew and left behind several bodies including Caucasian and in their pockets were American identification cards with the endorsement from the American embassy in Rangoon. It was at the height of the Cold War and Mao Hse Dong had not declared the People’s Republic of China yet, and Burma was one of the recipients of the Marshall Plan code name PL 480. The civilian government of Burma, U Nu administration at once saw the writings on the wall of how the US was using a newly independent nation, Burma as a springboard to counter the Chinese Communist. Burma being one of the founders of Non- Alignment policy at once cut off the PL 480. It was the time of President Eisenhower administration and since then up to day no American policy maker has really understand Burma. Studying the United States Foreign Policy after World War II, one may sadly discover that it often failed to accomplish its objectives and counterproductive. Force replaced diplomacy. Military solutions trampled negotiations. Counter-insurgency produced insurgents. The U.S. identified anti-communism as its principal guide to foreign policy during the Cold War, but similar policies continued even after the collapse of the Soviet Union. In general, U.S. presidents see the world through the eyes of four giants: Alexander Hamilton, Woodrow Wilson, Thomas Jefferson, and Andrew Jackson. They believe that a strong national government and a strong military should pursue a realist global policy and that the government can and should promote economic development and the interests of American business at home and abroad. They make the promotion of democracy and human rights as the core elements of American grand strategy. Some presidents build coalitions; others stay put. After the Cold War, George H.W. Bush's administration followed largely Hamiltonian course that faced with Bill Clinton's administration and resulted in bitter administration infighting when the humanitarian interventions in the Balkans and Rwanda, over the relative weight given to human rights and trade in US relations with China. "bringing a responsible end to the war in Iraq and refocusing on the critical challenges in the broader region,"
"by building the first truly 21st century military and showing wisdom in how the US deploys it,"
"by marshalling a global effort to meet a threat that rises above all others in urgency – securing, destroying, and stopping the spread of weapons of mass destruction,"
"rebuild and construct the alliances and partnerships necessary to meet common challenges and confront common threats," and "while America can help others build more secure societies, US must never forget that only the citizens of these nations can sustain them." Hillary Clinton stated during her confirmation hearings that she believed that "the best way to advance America's interests in reducing global threats and seizing global opportunities is to design and implement global solutions" and "We must use what has been called Smart Power” diplomatic, economic, military, political, legal and cultural — picking the right tool or combination of tools for each situation. How far has the goal been reached not to mention about the insignificant Burmese Junta. Secretary of State Clinton's July 23 statement on North Korea, emphasized that the United States will "continue to work closely with other governments, international organizations, and NGOs to address human rights violations and abuses perpetuated by the regime, and would soon announce an envoy for North Korean human rights." But the senior envoy dispatched to the region has made barely a mention of the situation in the North. On China, Secretary Clinton fumbled early with statements that she would not let issues like human rights and Tibet interfere with more important strategic issues. President Obama raised human rights in welcoming remarks for the U.S.-China Strategic and Economic Dialogue and in a Sept. 24 speech to the Center for a New American Security, Deputy Secretary of State Jim Steinberg said that he "could not disagree more" with Chinese officials who say that there is no place for human rights in the U.S.-China dialogue. The Vietnamese clearly think the heat is off on religious freedom in their country. Japan's new foreign minister, Katsuya Okada, gloated in a joint press conference with the Cambodian foreign minister this week that the U.S. was "moving closer to Japan and Cambodia's position" -- even though Campbell had clearly testified on the content of the policy the week before. The administration's decision not to invite the Dalai Lama to the Oval Office during his visit to Washington (the first non invite by a president during the visit of the Dalai Lama since 1991), is compounding the mistakes in its messaging on human rights and democracy in the region. The elements of a strong policy on human rights and democracy are a matter of record in the statements of senior Obama administration officials (for which they deserve full credit), but those points have been muddled or drowned out by conflicting narratives about engagement, access, "smart power" and the president's own apparent ambivalence about championing universal values. Until the president clearly reaffirms America's commitment to human rights, democracy, and governance, there will be several consequences in Asia that even hard-core realists will lament (not to mention the idealists who would normally be comfortably at the core of a Democratic Foreign Policy): Change agents within repressive states who matter most will be demoralized, disempowered and possibly endangered. Repressive regimes will continue to think that they can get away with much lower standards than the administration could sell to the Congress or the American people if they want to lift sanctions or advance engagement (as happened in Burma with respect to Daw Aung San Suu Kyi's sentence).Repressive regimes will continue citing evidence of a higher U.S. tolerance for human rights abuses (something that now worries the Tibetans); The emerging debate in ASEAN, Japan, and Korea on the importance of addressing human rights and democracy will subside; America's greatest source of soft power -- American values -- will suffer. It was against these backdrops that we should examine the “American Policy” towards Burma. No doubt the United States showed moral courage in attempting to either modify or overthrow an illegitimate military government in Burma. Nevertheless, moral imperatives don't move nations, and instead US policy towards Burma has harmed the people of Burma and not brought freedom and democracy to the country. It is not going to bring meaningful change in the human rights practices of the regime and will make even worse. When the Junta increased its repression in the run-up to elections the U S was conspicuously absent in the global debate on how to respond and it reduced pressure on the Burmese Junta. When a new policy was finally announced, after eight months of deliberations it was remarkably uninspiring as it keep sanctions and increase engagement. Again when the U S got around to engaging directly with the Junta in Singapore, it took a surprisingly unilateral approach, thus sending the wrong message. The Burmese Junta knows it has support from China and Russia in the U.N. Security Council and is making billions of dollars annually from its natural resources. This explicitly means that the United States has no leverage on Burma until it exercises its leadership to bring into the process others whose views do matter to the regime. Up to this day there is no special envoy that deal exclusively with Burma and make it a high level priority. Without the kind of pressure the United States can bring to bear multilaterally, the Junta will have no incentive to come to the table, let alone change its behaviour. One wonder of why it did not publicly embrace the call to create a commission of inquiry through the United Nations to investigate crimes against humanity and war crimes committed by the Junta, and then work multilaterally to make this inquiry happen. We could not comprehend of why it did not fully enforce existing U.S. sanctions and target Singaporean and Dubai banks that do business with the regime? Of course the US is in a position to impose a global arms embargo on Burma and take full advantage of being one of three countries to lead the cross-examination of Burma's human rights record in the Universal Periodic Review process taking place in the U.N. Human Rights Council early next year. The administration fueled by self-proclaimed advisors to candidate Obama is now seeking to ingratiate them with the military regime and by the administration's own pro engagement rhetoric -- the administration's policy review on Burma turned out to be very confused and send the wrong message. Than Shwe and the thugs running Burma guessed wrong on the administration's expectations and thought that reducing Daw Aung San Suu Kyi's sentence from three years to 18 months would be enough to get sanctions lifted even as the regime launched violent new military offensives against ethnic minorities along the Chinese and Thai border. Equally bad is that the Association of Southeast Asian Nations, are moving away from their own very healthy debate about how to implement the human rights standards in the association's new charter and focusing on getting the United States to change its policy instead it shifted the burden back on Washington to change its approach (Singaporeans could not be more gleeful at the opportunity to escape an internal ASEAN debate on values). Now the prospects for progress in this new engagement of the regime are diminished because U.S. signals have softened everyone else's resolve. The crux of the American policy is that the promulgation of the election laws came after the US said it was adopting a more open-minded approach to dealing with the Burmese Junta, pledging to review existing sanctions if some reform measures were taken by the Burmese rulers. One cannot understand why the US has consistently shied away from calling for the controversial 2008 Constitution to be revised. The election laws were taken as a slap in the face by the US administration. When the US announced that it was extending a hand to the Burmese rulers, some ASEAN spun this as recognition that their Constructive Engagement Policy -softly political engagement of the regime, coupled with lucrative and burgeoning trade and investment links, was a better means to try to influence the Junta. The problem is that the US did not spell out clearly and decisively what it meant by its proposed engagement, allowing self-styled pragmatists to state their case more decisively and imply that proponents of sanctions are naive, moralistic ideologues propounding an untenable policy. Ironically, by being both tough and soft at the same time, the administration risks losing both American prestige and progress on the democratic causes America has always championed. There is no apparent strategy designed to influence or achieve such an outcome. The status quo benefits all sides concerned, in the pocket, and in the short term. The bottom line is, of course, if countries such as China, India, Thailand, Singapore, South Korea—put more pressure on the regime, then sanctions might then be a viable means to such an end. The mantra of “non-interference” is usually trotted out to justify a lax approach, but of course the reality is that by providing the Burmese generals with billions of dollars in revenue and diplomatic cover, this non-interference is de facto propping up a military government that has lasted since 1962. Academically there seems to be a sort of sacramental thinking by using such adjectives as smart and realistic policy when the US has not said clearly how either sanctions or engagement or a mixture can influence change in Burma, or what it would like to see by way of partnership with Burma's neighbours, who pay lip service to their hope for change. As a Burmese nationalist we see that after all these years the US outreach to Burma is also based on realism—and national self-interest—as part of Washington's strategy to cope with the rise of China in the Asia-Pacific region. Pardon me, if I am crude and blunt, that when it came to the case of Burma I construe President Barack Obama has a split personality of neither a cold-blooded realist nor a bleeding-heart idealist. To create a sanctions policy that works, the U.S. need to punish third countries like India, China and ASEAN for doing business with the Junta. If the U.S. is unwilling to treat Burma as Iran then sanctions are clearly not working. Than Shwe visiting India right now can be compared to is British Prime Minister David Cameron, who has brought with him a huge delegation of Cabinet ministers and British business leaders. The two contemporaneous visits of these very different leaders to India tells one a lot about the dual nature of India’s foreign policy and position in the world. That the dualism in Indian foreign policy is the corner stone of the Indian mentality The whole reason that India needs Burmese natural gas is because its economy is booming — and that booming economy is one of the prime reasons the British Prime Minister is so interested in forging a new “special relationship” with India. India is also interested in Burma because it wants to check Chinese influence, and this too is sort of the flip-side of India’s own growing military strength and world profile. As it becomes a more important world player, it is bumping up against the other global player and emerging economic superpower in the region: China. Places like Burma become zones where China and India compete for influence. In fact India’s emerging military and strategic importance are also a reason for Britain’s desire to refresh its historically-close ties to New Delhi Where does the US fit in with its military base in Diego Garcia? The Americans should clearly study the Indian mentality which the Burmese has a wealth of knowledge of it, since the British colonial days when all sorts of Indians were encourage in migrating to Burma. Over a century they exploited the poor Burmese people. Knowing the local Indian mentality, the Ne ‘Win administration deported 83 shiploads of Indians back to their homeland seem to be logical. Hence the American should discuss with the genuine Burmese democrats of their Indian policy. In short, the pathologies that afflict Burma's failing state are derived or exacerbated by political misrule, make its regime a threat to its people, its neighbors, and the wider world led by the US. One cannot understand why the Obama administration is pursuing policies of engagement towards Burma. Clinton floated the idea of lifting U.S. investment and trade sanctions on the country during her recent visit to Thailand. Senior American officials huddled with Burmese counterparts to discuss a roadmap for closer cooperation on the sidelines of the ASEAN Regional Forum. The State Department is conducting a Burma policy has resulted in the rollback of U.S. sanctions on Burma and the launch of new assistance programs of $38 million channeled to the so called third force which is actually are cronies and apologist inside Burma and those in the Thai Burma border area, under the watchful eyes of the Junta, is on the way. All these have strengthened the regime and its cronies rather than creating greater space for civil society. 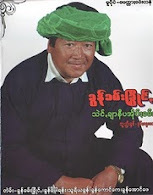 In conclusion I would venture to says that the battle of Wan Hsa La will still goes on as America could not comprehend of why so many Burmese diplomats and even military personals with a human heart and enough brains, have defected to this side or about the impending movement of mass resignation and the moral and psychological effects of sanctions. May be U.S is contemplating to join China and India in trampling democracy and human rights while at the same time propping up the regime indirectly. But the people of Burma and the international community who loves the truth and the right (except the ex Nazi German pro Junta group) world will continue to resist these satanic forces.